At the request of several of my amateur radio friends, I've redesigned the previous foxhunt transmitters to make use of a more easily obtain PIC16F84A instead of the PIC12F675. 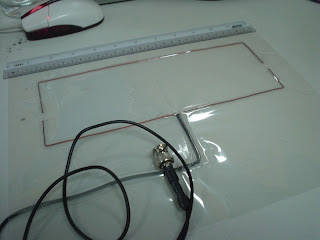 Photo of completed transmitter below. Setting for FoxID and delays are done via jumpers. 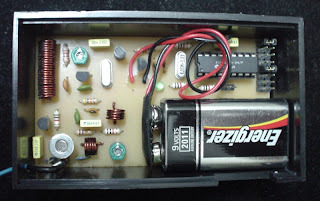 Overall transmitter power is about 300mW and frequency of 144.010MHz. 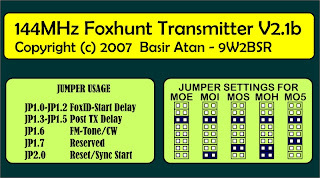 For those building the unit, the label below shows how to set the jumpers correctly for various foxes. For sync start, jumper JP2 could be connected in parallel to a single reset switch which can be removed after reset/sync is done.